Get the high quality service that your Mazda vehicle deserves at Performance Mazda. Our after-sales department is here to ensure your vehicle is always running smoothly, no matter where life takes you. Performance Mazda Orléans has the largest number of certified Mazda master technicians in the Ottawa, Orleans and Casselman region! 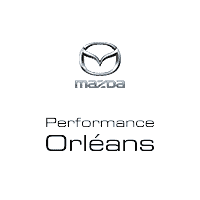 Whether your vehicle needs a quick inspection or a major overhaul, the skilled technicians at Performance Mazda Orléans have what it takes for your vehicle to give its maximum performance. We’re committed to providing you with the excellent Mazda service that you deserve. Come meet our technicians and do not hesitate to ask any and all questions you might have. Our team will gladly explain what your vehicle needs, in an open, transparent and friendly way. Plan your next appointment by completing our online form and we will contact you as soon as possible with the details of your confirmation.